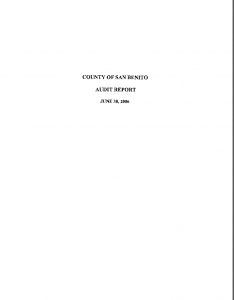 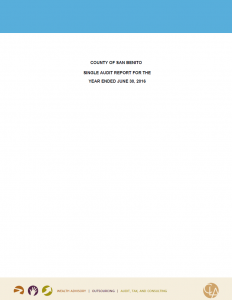 The purpose of the County of San Benito’s Comprehensive Annual Financial Report is to provide relevant financial information to the governing body of the County, citizens of the County of San Benito, staff, creditors, investors and other concerned readers. 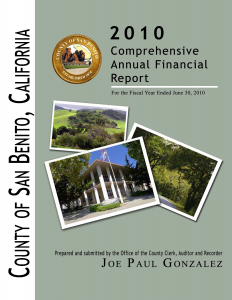 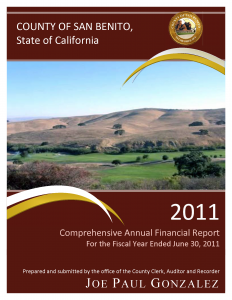 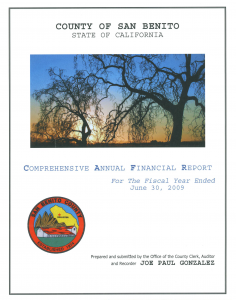 The County’s financial statements are presented in conformity with generally accepted accounting principles (GAAP) and audited in accordance with generally accepted auditing standards. 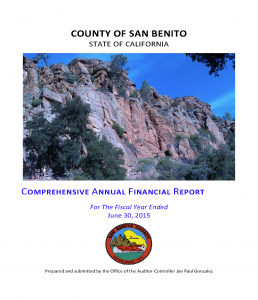 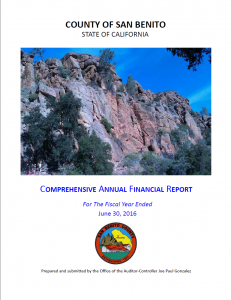 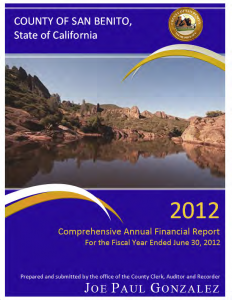 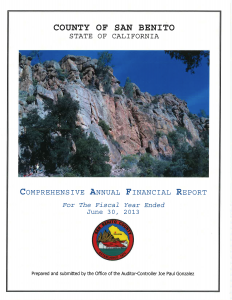 The financial statements are reported on a fiscal year basis beginning July 1st and ending June 30th. 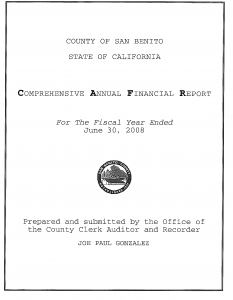 The financial statements have been audited by an independent firm of certified public accountants to provide reasonable assurance that the financial statements of the County are free of material misstatements. We encourage all readers to contact the Auditors Department with any questions or comments concerning this report.